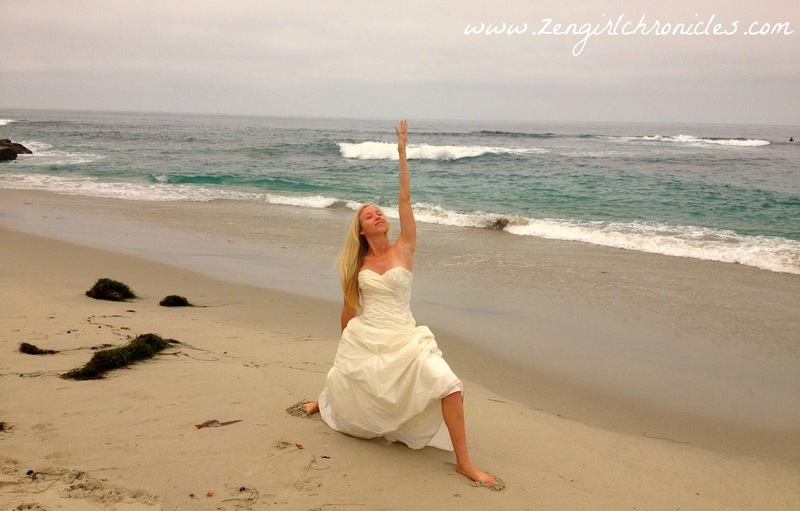 For almost 2 years now, I've been working on writing an article about "why it's important to include yoga on your wedding day" as this is a topic that's very close to my heart. 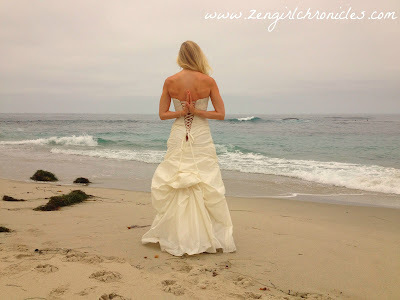 I was smack in the middle of my first Yoga Teacher Training when Devin and I got married back in the fall of 2010 and was ever-so-grateful for my devoted yoga practice at the time, as it provided me a refuge from the endless RSVPs, seating charts, and trying to please everyone else on my big day. 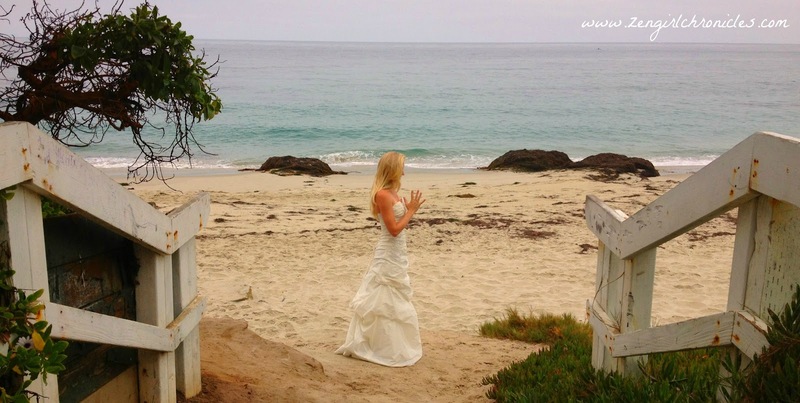 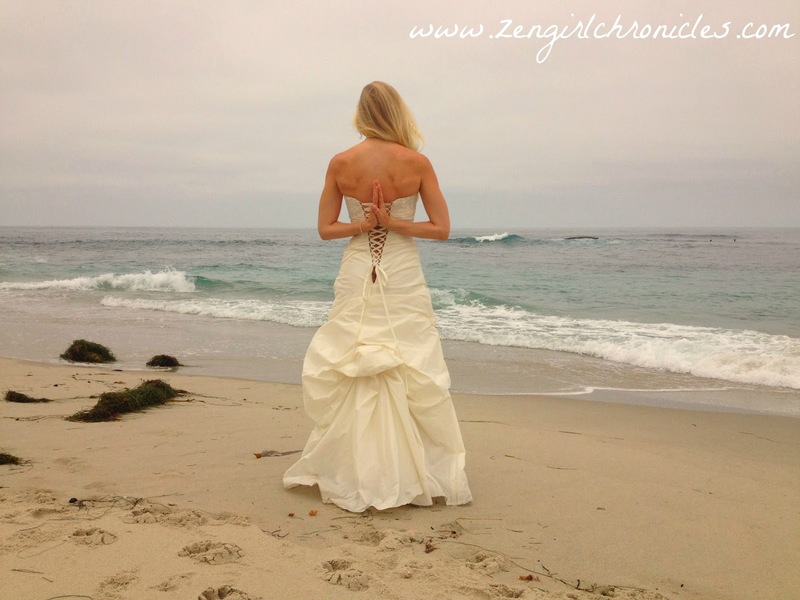 Recently, I finally felt inspired to sit down and write all about my journey of trying to infuse a little zen into my wedding planning process and knew that I needed the perfect photo to convey the message. 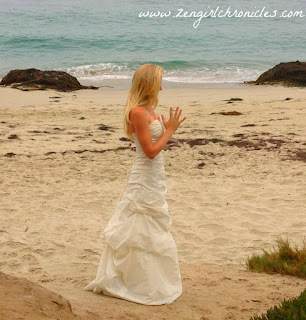 So this morning,(ironically, on the 4 year anniversary of us meeting), Devin helped me wiggle into my wedding dress once again and we skipped down to the beach in front of our house to take some photos. I call this the "Zen Bride Photoshoot" - hope you enjoy!